We are trying something new, a digital newsletter! 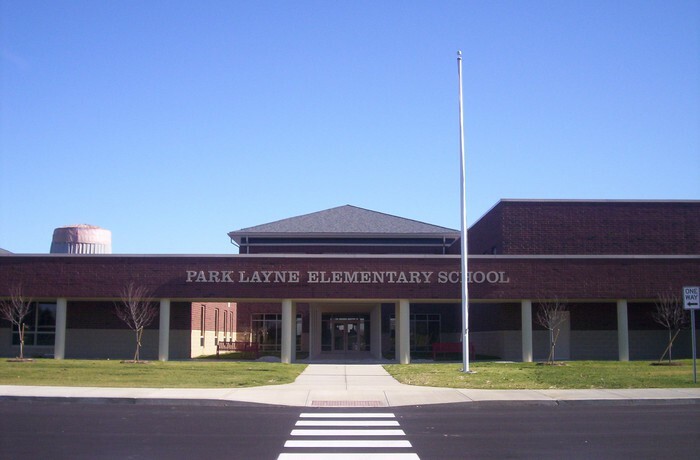 We hope this new format will make it easier for our families to stay in touch with what's going on at Park Layne Elementary as we will be able provide links to videos, pictures and other digital content and resources directly to our families. Please be sure you've signed up for our remind text messages as this is the way the newsletter will initially be sent out each month. We would welcome any feedback on the newsletter as well. We are so excited to see the number of volunteers at Park Layne increasing, especially in our Reading Buddy Program, which began last year under the guidance of our librarian, Mrs. Ray. 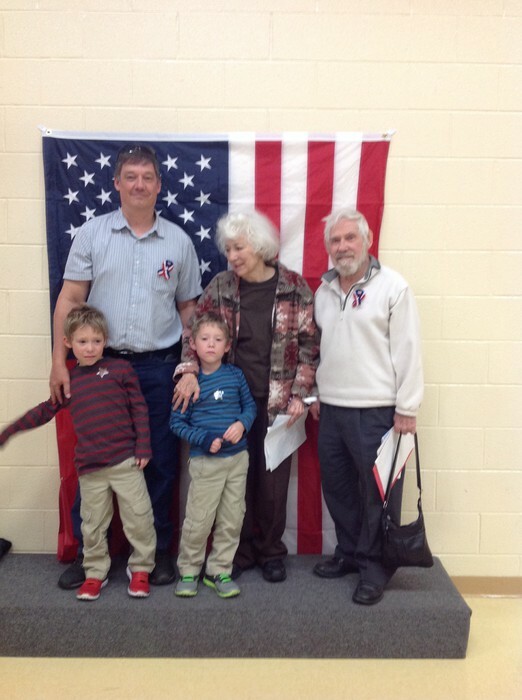 Volunteers include central office personnel, parents, local church members, and other community members. Each volunteer commits to a minimum of 30 minutes per week. Volunteers read with students, review sight words with students and really help students gain confidence in their reading while providing a great support system. Our students love reading with our volunteers. If you or someone you know could commit to at least 30 minutes a week, please contact Mrs. Ray at gaybrielle.ray@tecumsehlocal.org. We would especially like to connect with our retired community members who may have more time and would benefit as much from helping and making connections with our great kids as the kids will benefit from the reading help and mentorship. PTO is a great way to get involved and help out our schools. Our next PTO meeting will be Monday, December 4 at 7 pm in the Tecumseh Middle School library. Enter the front doors of the middle school and the library is about halfway back the main hallway on your right. If you would like to get involved with the planning of our PTO Spring Festival, join us at 6 pm on December 4 for a festival meeting prior to the regular PTO meeting. Did you miss out on our spirit wear sale of t-shirts, sweatshirts, etc. If so, stop by the school office to purchase extras that were ordered. You may want to consider these for Christmas gifts. We have a great variety of styles and sizes available in each elementary office. Thanks to everyone who sold cookie dough. Students who earned the bounce house reward or lunch with the principal will get these rewards in December. Sign up for Remind alerts for PTO by texting @TecPTO to 81010. Check out the PTO Facebook page for updates as well. 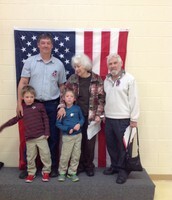 Following the program pictures of our veterans were taken with their student. 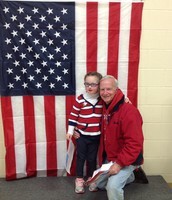 All pictures can be found on the district website at this link. 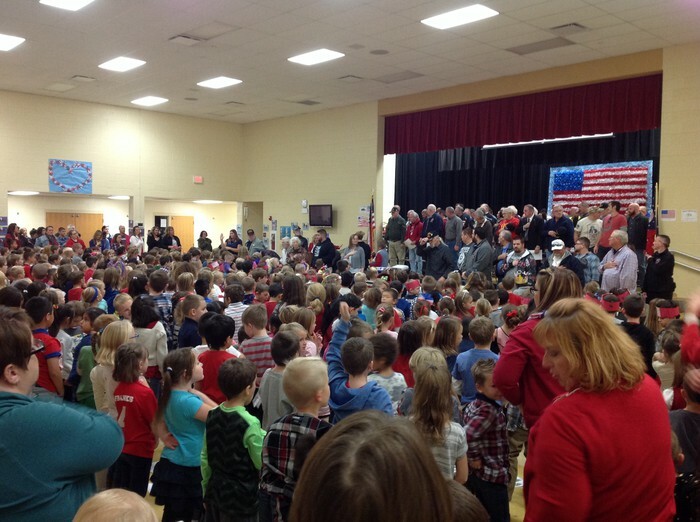 Veterans introduced themselves and the students who invited them to the program. 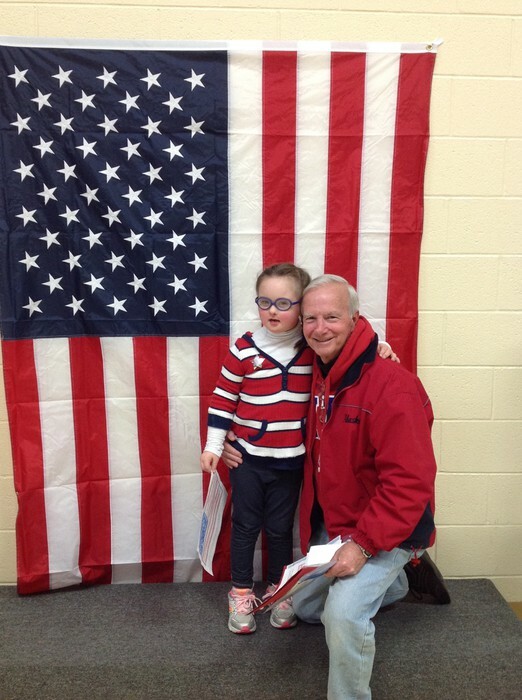 All pictures can be found on the district website at this link. Cadence Assembly - Check out the video from our awesome assembly. Please be aware that House Bill 410 was passed in December of 2016 and as a result attendance is now measured in hours instead of days. 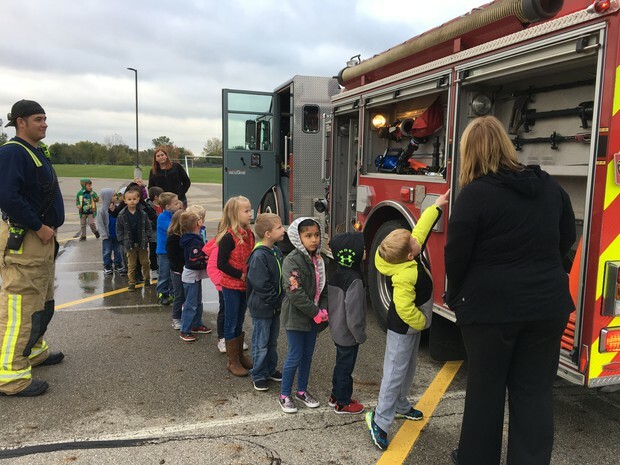 Tecumseh elementary students are in attendance 6.5 hours per day. The state of Ohio defines a student as being an habitual truant if they are absent 72 more more hours in one school year without legitimate excuse. By Tecumseh Local Schools Board Policy students may only be absent up to five days per semester with a parent note. All absences over five per semester require a doctor’s note in order to be excused. If a doctor’s note is not provided for absences over 5 per semester or if not absence note is provided for any absence, the absence is considered unexcused and counts towards the 72 hours described in HB410. Please be aware of these requirements and make sure you provide proper documentation anytime your child is absent from school. If your child visits the doctor or dentist during the school day, please pick up an excuse and provide it to the school office upon your child’s return to school. Please avoid scheduling routine appointments and vacations while school is in session. If you already have a vacation planned that cannot be changed, please contact the school office and request a Student Leave Form as all vacation days are to be preapproved by the building principal. Days will only be approved if the absences will keep student under five days per semester. Anytime a student is absent, important instructional time is lost that is difficult to make up. Please help support your child’s education by ensuring he/she is at school on time each day unless they are too sick to attend. 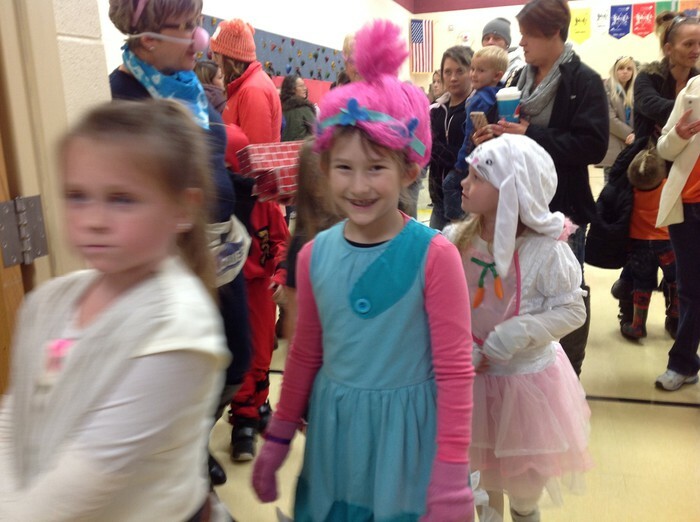 The weather was too cold for an outside parade but our inside parade was just as fun. 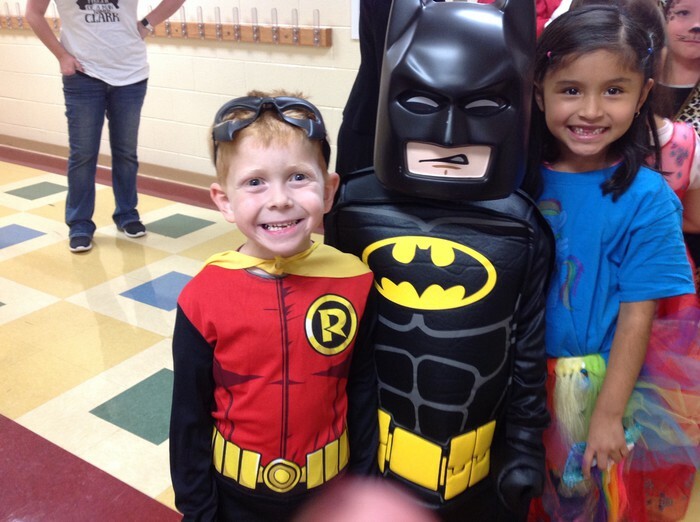 Students were really able to see each other's costumes better inside. Follow the link to lots more pictures. 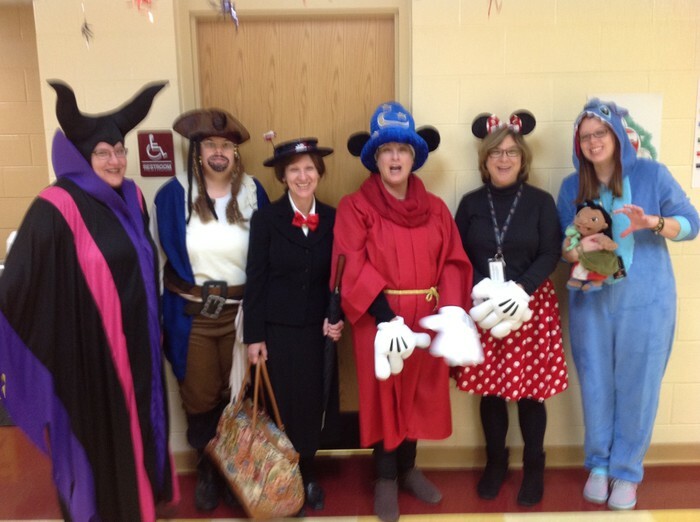 Our staff never miss an opportunity to have fun with our students as you can see from some of their costumes as well.